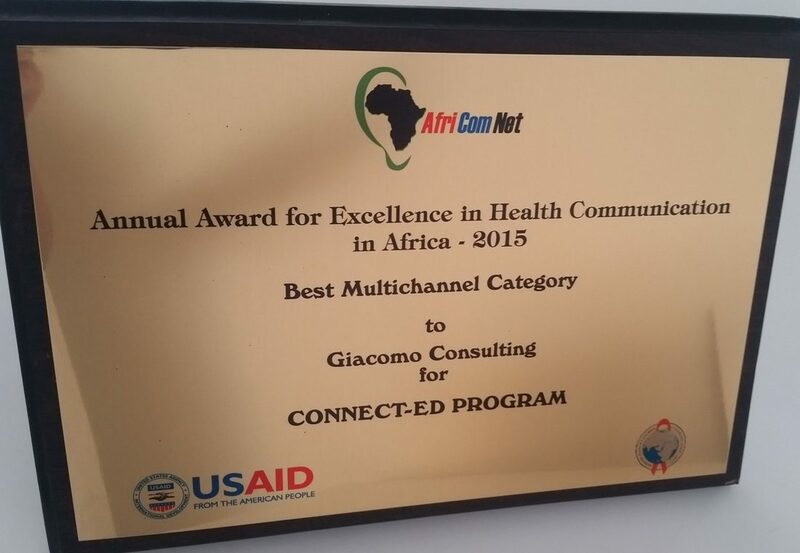 In 2015, CONNECT-ED, A High school sexual health programme sponsored by Durex and developed by Triple Eight won the Africomnet Award for Excellence in Healthcare Communication in the Multi-channel category. In the running were many other international campaigns including a John Hopkins University campaign. The multi-channel category was appropriate as CONNECT-ED incorporates many different platforms (theatre, movie, classroom resources, online guidance counsellor and social media). CONNECT-ED has always been recognized as a high impact and innovative campaign – it is the only commercially funded sexual health campaign to have received endorsement from the National Department of Health, National Department of Education, Gauteng Department of Education, Lovelife, John Hopkins, Foundation for Professional Development, Business Women’s Association of South Africa, International Conference of Aids, and more than 20 other stakeholders in sexual health. This win was endorsed by 1500 healthcare practitioners and sponsored by USAID & PEPFAR.